Three major tournaments came to a conclusion in the UK and Europe over the weekend and crowned a trio of champions. 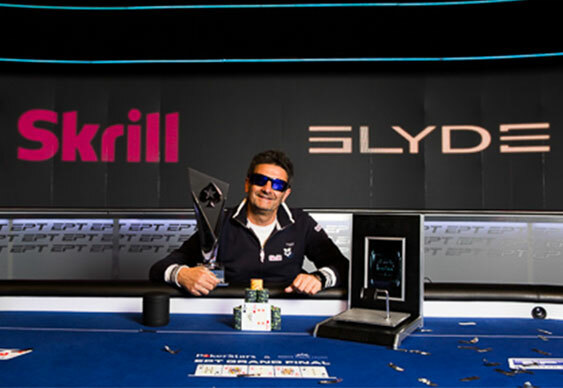 First to stand on the winner's rostrum was Antonio Buonanno after he took down the weekend’s largest tournament, the Grand Final main event of Season 10 from the European Poker Tour (EPT). Despite Jack Salter bossing the action for most of the day, Buonanno was able to consistently thwart his opponent's advances in the final rounds of the Monte Carlo match. After coming back from destruction three times, a blessed Buonanno eventually clinched the title and €1.24 million ($1.72 million) after his As 4h held up in an all-in coup against Salter's Kd 7d. The attention of the tournament world subsequently turned to Newcastle and Brighton courtesy of the partypoker WPT National UK event from the World Poker Tour (WPT) and the Grosvenor UK Poker Tour (GUKPT). More than 350 competitors gathered inside Aspers At The Gate in Newcastle for the latest incarnation of the WPT's National festival with Darren Mapley standing victorious following a tense heads-up battle with Mark Gray. The event ended with Mapley collecting the £17,500 ($29,672) top prize after his As Qh saw off Gray’s pocket nines. Meanwhile, the £500 ($847) buy-in GUKPT main event in Brighton welcomed 180 players over the course of four days with Chris Cousins subsequently coming out on top. The British grinder saw off some stiff competition during the early stages of the tournament from the likes of Barny Boatman and Joe Beevers and eventually claimed the £20,300 ($34,427) top prize after defeating Hui Jin heads-up.